You don’t have to be a longtime beauty devotee to know that Sephora has it all. Stocking its shelves with thousands of well-known and under-the-radar brands, the retailer makes it easy to find any and every product worth knowing about—which can make it hard to decide what to try next. 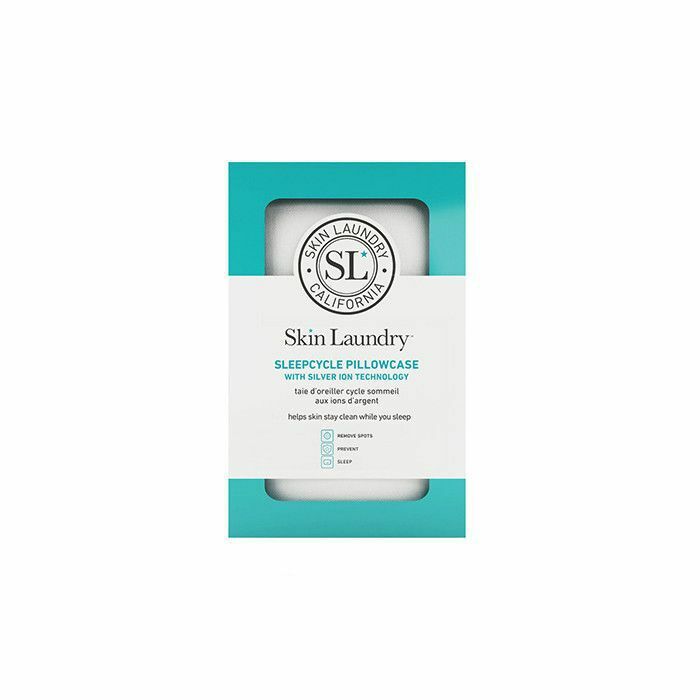 But not to worry… Here at Byrdie HQ, it’s our job to keep you informed on the latest must-haves that are worthy of your attention, and at the moment, there’s one brand in particular our office is going crazy over: Skin Laundry. You may have heard of the cult-favorite brand before—a few years back, its clinics introduced a crowd-favorite 15-minute facial that uses a combination of laser and light therapy to eliminate grime, oil, and bacteria from your skin, leaving it brighter and thoroughly cleansed (and if you haven't tried it yet, your first facial is free at any Skin Laundry location!). 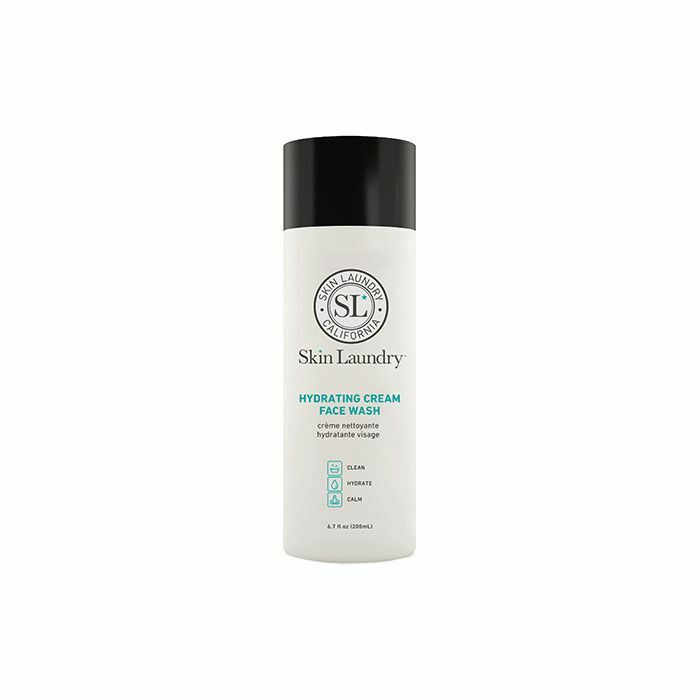 But what you may not know is that Skin Laundry also has its own line of low-maintenance products inspired by its signature treatment, and it’s now available at Sephora. (Previously the only way to get your hands on it was to visit one of the brand’s clinics, so this is a major win.) 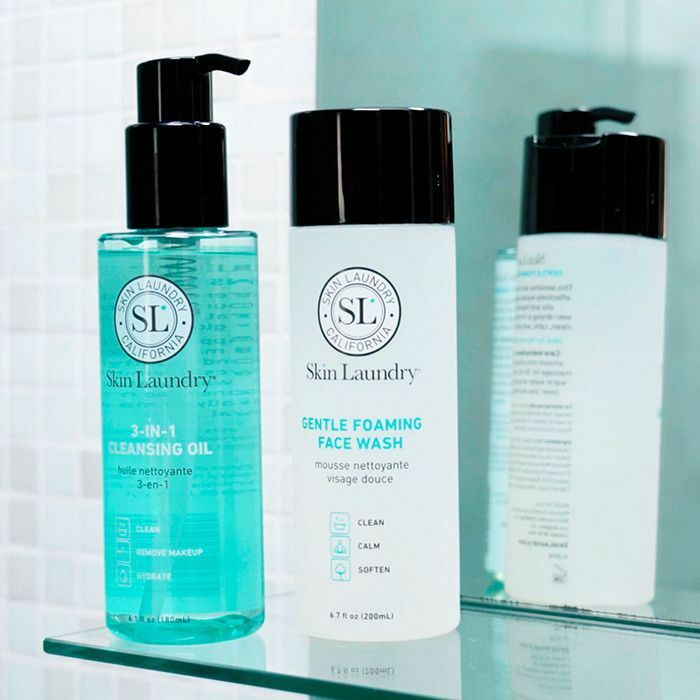 From purifying cleansers that remove stubborn makeup to an acne-reducing pillowcase, the range is full of gentle yet effective products that’ll help you reach your #skingoals. Ready to upgrade your skincare regimen? Keep scrolling to read about our top picks (and be sure to add your favorites to your cart before they sell out!). In search of a simpler skincare routine? The brand’s fuss-free face wash is chock-full of nutrient-rich ingredients like Aloe barbadensis (revered for its powerful anti-inflammatory and skin-soothing properties). Best of all, this ultra-hydrating formula ensures your skin will never feel tight post-washing. 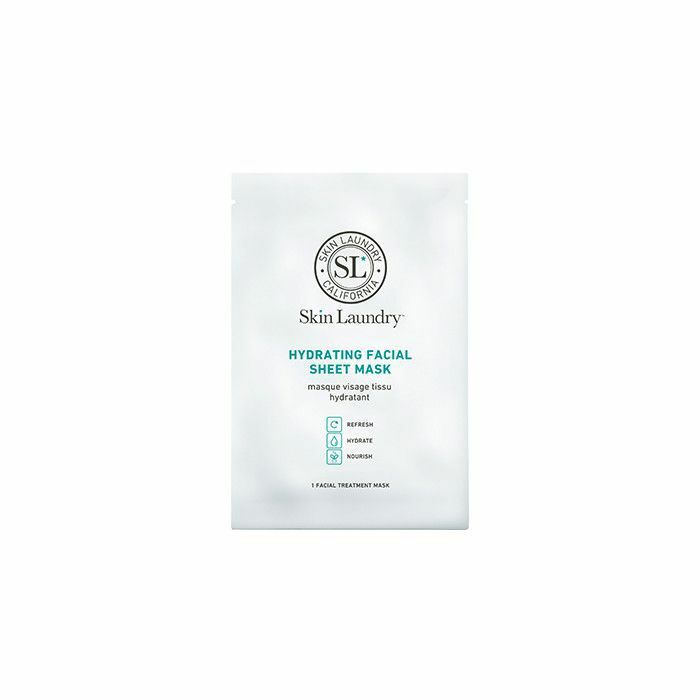 When your skin needs a bit of a refresh, turn to Skin Laundry’s multipurpose mask. It hydrates, minimizes the appearance of pores, evens out tone, and brightens the skin. Standout ingredients include watermelon, lentil seed, and apple extract—a natural complex that hydrates and minimizes fine lines. This seriously potent anti-aging eye cream basically does it all. Rich in peptides and antioxidants like coffee arabica seed extract, this multitasker helps reduce the appearance of fine lines and wrinkles (even around your lip line!). If you have oily skin and/or large pores, this exfoliating face wash is for you—it deep-cleans and fights blemishes without stripping skin of its moisture. One key ingredient is Seboxyl, a proprietary blend of blackcurrant fruit extract and raspberry leaf extract, both of which help minimize sebum oxidation and inflammation. How many times have you been reminded about the importance of wearing SPF daily? Well, if you haven’t gotten around to incorporating one into your routine yet (cough, cough), this must-have formula is a great option. The lightweight moisturizer can be mixed with your makeup, and it won’t leave your skin feeling greasy the way a lot of sunscreens can do. People with sensitive skin, rejoice! This mild foaming face wash won’t irritate your skin. 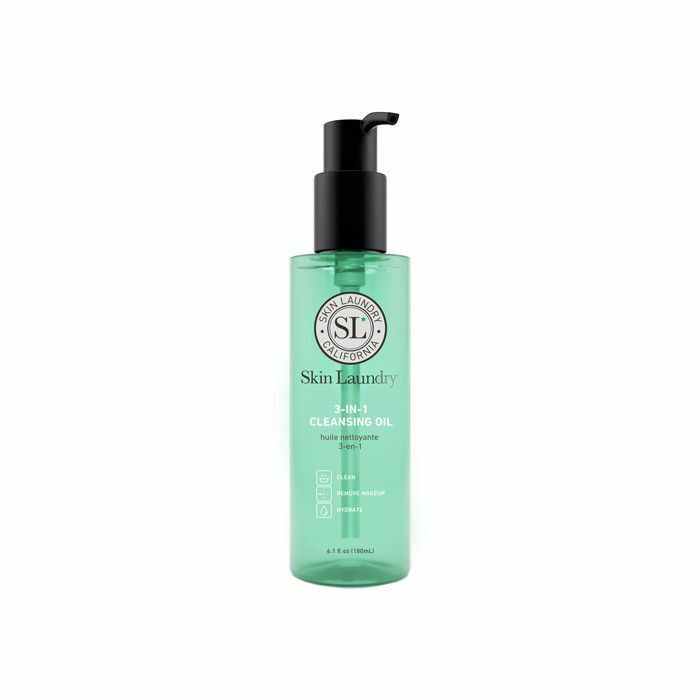 Formulated with calming ingredients like shea butter and chamomile extract, this is the perfect everyday cleanser. Bonus: You’ll smell like fresh linens after using it. If you’ve ever wanted to try double-cleansing, this three-in-one cleansing oil is the perfect first step. Formulated with good-for-your-skin ingredients like tea tree oil (which helps prevent breakouts) and squalene oil (an effective bioavailable moisturizer), this oil completely removes makeup sans irritation. You’ve heard it before: The more sleep you get, the better your overall health will be. But what about the pillowcase you sleep on? Think about it. Your skin regenerates overnight, shedding dead skin cells and releasing oil. If you’re not cleaning your bedding regularly, you’re basically pressing your freshly cleansed face into a bed of bacteria every time you go to sleep. This pillowcase is treated with silver ion technology, which helps prevent breakouts by absorbing oil, dirt, germs, and dead skin cells. Not an excuse to skip laundry day, but it certainly helps. How often will you be cleaning your bedding now after reading the above? Tell us in the comments below.